“What is the best tea to infuse with vodka?” a friendly customer asks me one day. With a store of over 200 teas, meeting customers looking for specific teas for very specific purposes, becomes a game of “Stump the Chump” on a very regular basis. Luckily, I love a good challenge. To me, it adds variety to our work and it’s also one of the reasons why we provide such a vast variety of teas to begin with. You can never get the type of customized service, advice and variety of product from a grocery store or even online, than from a brick and mortar tea shop. “No problem.” I tell him. But honestly, I was a little in over my head because I’m not much of an alcohol drinker and my least favorite liquor was certainly, vodka. While I did not want to be the cause of a failed experiment, I remained confident. I knew my teas and I knew what I IMAGINED a good tea-infused vodka would taste like. We quickly decided that black teas were the best tea to play around with an experiment like this. Black teas have robust yet accessible flavors, and their amber coloration when steeped always make them ideal teas for infusions in beverages, cooking and baking. I picked out three contenders. New Vithana Ceylon, a gorgeous flowery ceylon with tightly rolled golden tips. It’s best drunk alone to enjoy it’s mellow honey-like flavors. Meleng Assame, a good everyday tea that represents all the qualities of a typical assam — hearty, robust and clean, brisk flavor. 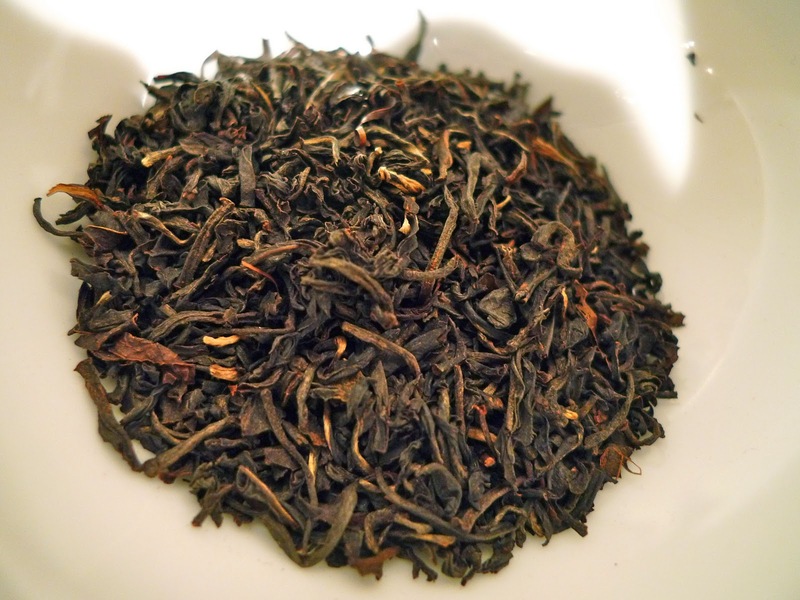 And finally, Mokalbari Assam, my go to tea for anyone looking for a strong, malty yet smooth tea. It has a lot of complex flavors that can grab a hold of a tea drinker’s attention and the flavor doesn’t fade away as quickly when combined with milk or other additives. After sampling each of the teas, he settled on my favorite, Mokalbari Assam, believing the strong woodsy and almost sweet flavor of the tea would compliment and stand up well infused in a vodka. It proved to be a wise choice. 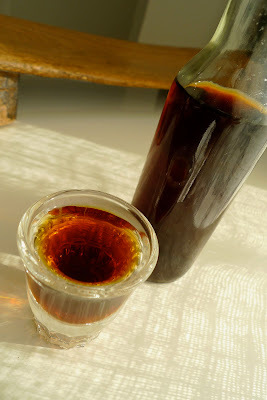 A couple of months later, while sipping tea outside the store on a warm and pleasant day, the same customer came back, greeting me with a generous bottle of freshly infused tea vodka! The experiment was a success! He encourages me to “serve it with some tonic with a spritz of lemon and it will taste just like a real iced tea.” Well, I’m sipping this vodka now (straight) as I write this post and I have to say that the results are surprisingly good. The vodka used in this experiment was Svedka vodka, an affordable wheat grain vodka that’s strong with an unexpected smoothness. 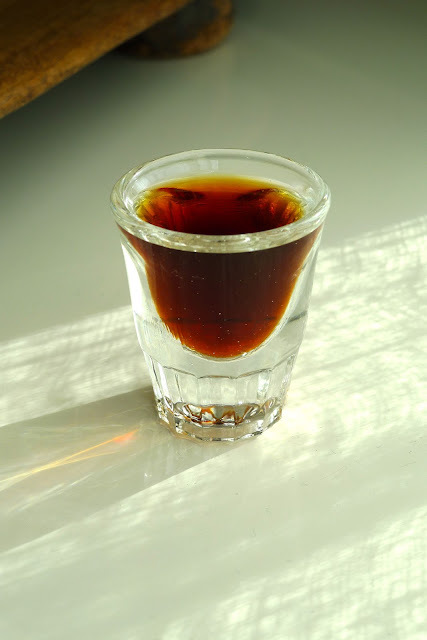 The Mokalbari Assam did the job beautifully, as the distinct flavors of the black assam lingers in gradually, blending very easily with the vodka and providing hints of fruit at the end of a tasting. As the mouth salivate and puckers in the finish, a clear taste of ripe green grapes can be detected. Who would of thought! To make tea infused vodka at home, it’s as simple as adding tea leaves to vodka and forgetting about it. Choose a tea that’s strong enough to hold it’s own while complimenting the base flavor of the liquor. Black teas are always a good choice but a Japanese green tea (like a Sencha or Gyokuro) may be interesting as well. Use at least 1-2 ounces of tea per bottle and leave it in the liquor for at least 2 days, either in the refrigerator or in room temperature. Then strain out the tea and enjoy! Now that my mind has been opened to the possibilities of infusing alcohol with tea, I’m really looking forward to playing around with other tea and vodka combinations. Readers, if you happen to have any experience in this (or decide to embark upon some experimenting on your own), please share with us interesting results you have discovered. I’d love to read more about the possiblities. Cheers!